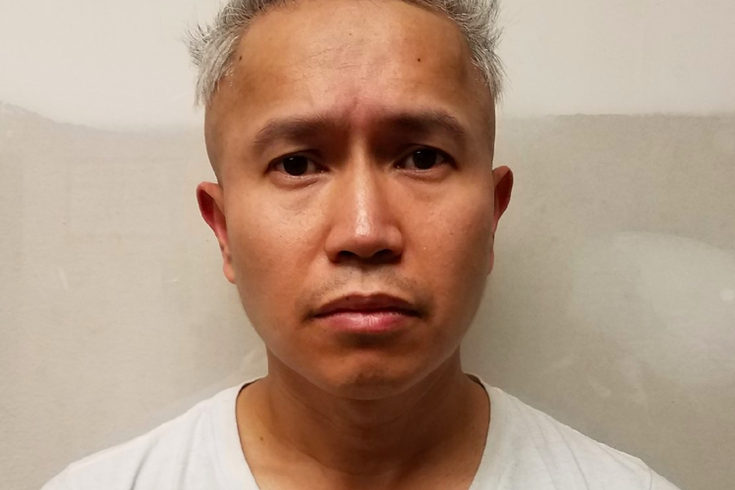 A Voorhees man allegedly targeted a “helpless” woman during a sexual assault on the PATCO Hi-Speedline, authorities say. Charles Arcano, 45, is accused of assaulting a 22-year-old woman in an otherwise-empty train car in the pre-dawn hours of Jan. 27, according to the Camden County Prosecutor’s Office. Arcano “knew or should have known the victim to be physically helpless or incapacitated,” a criminal complaint alleges. The assault occurred while the woman was passed out and at times when she resisted, according to a probable cause statement for Arcano’s arrest. “When they arrived in Collingswood, she was unable to exit the train,” says the probable cause statement, which notes the woman described herself as intoxicated. “She then sat down and a male she did not know sat beside her,” the statement says. “The victim said she passed out and woke up to an unknown male” assaulting her, the statement continued. The incident, graphically described in the probable cause statement, was captured on video, the prosecutor’s office said. Investigators previously had released surveillance video from PATCO’s Haddon Township station in an effort to identify a suspect. Arcano was arrested Tuesday in South Philadelphia, the prosecutor’s office said in a statement. Arcano is being held in Philadelphia, pending extradition to New Jersey, the prosecutor’s office said.